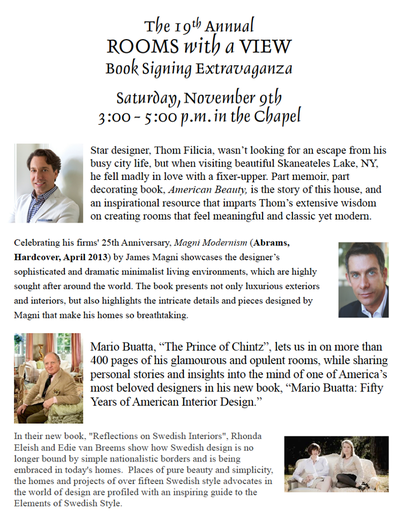 Thom Filicia - News - Rooms with a View Book Signing EXTRAVAGANZA! Rooms with a View Book Signing EXTRAVAGANZA! Join me and some of my friends for a book signing extravaganza at the 19th annual Rooms with a View in Southport, CT!